PLAINFIELD TOWNSHIP ‒ With the click of an email, the credibility of an iconic Michigan shoe company’s environmental practices has taken another hit. Rockford-based Wolverine Worldwide, best known for its Hush Puppies shoes, has been on the defensive this year over toxic chemicals that seeped from one of its former dumping sites into the drinking water in northern Kent County. The state has identified at least six other dump sites and says there may be as many as 15 more, sites Wolverine did not apparently test for groundwater contamination until April of this year. In August, as residents near the site wondered whether the chemicals might be tied to cancer clusters and other health problems, the company put out a statement insisting it did not know until 2016 that waste from its former Rockford tannery carried hazardous chemicals, including a class of compounds known as PFOS. But that effort at corporate spin appears to have backfired. Late last week, a lawyer for 3M, which supplied the waterproofing material containing PFOS in Hush Puppies, disputed Wolverine’s suggestion that it had been left in the dark about PFOS and its dangers all these years. PFOS is a flourinated organic compound that was widely used in clothing and fabrics as a repellent to water and oils. Like the guest that never leaves, the compound is persistent in the environment and in humans and animals. Once it gets in the blood it tends to stay there. At higher levels, it’s been linked to risks associated with chronic kidney disease, hypertension, immune suppression, and developmental effects in fetuses and nursing infants. Long-term exposure has been linked to cancers in lab animals, but studies are far less conclusive in humans. With a nudge from the Environmental Protection Agency, 3M voluntarily phased out U.S. production of PFOS between 2000 and 2002. The lawyer, William A. Brewer III, emailed Bridge Magazine and MLive.com a letter 3M had sent to Wolverine back in 1999. The letter referenced a meeting that year at Wolverine headquarters in which 3M warned Wolverine of its concerns about PFOS, perfluorooctane sulfonate, used in 3M’s Scotchgard coating on Hush Puppies. PFOS, the letter said, has the “potential to accumulate in the body ” and “to resist degradation in the environment.” The following year, 3M publicly announced it would change the chemical formulation of Scotchgard to eliminate PFOS. "We are surprised to see that Wolverine claims it was unaware of the fact that PFOS was used at its former tannery and, apparently, that it was unaware of 3M’s voluntary decision to phase out of the chemistries in question," Brewer told Bridge in the email. 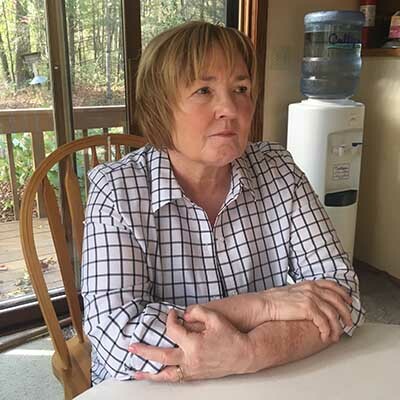 Jean Eggen, professor emeritus at Widener University Delaware Law School and a national expert on toxin litigation, said Wolverine will have a hard time evading responsibility for chemicals that seeped into groundwater and private wells near the waste sites. Eggen compared the growing controversy to a lawsuit settled this year by the chemical firm DuPont. DuPont and another company agreed to pay $671 million to residents in Ohio and West Virginia following the leak of a chemical similar to PFOS used in the manufacture of Teflon. She made no prediction about any possible monetary settlement by Wolverine. By now, just about everyone in the small community of Plainfield Township, north of Grand Rapids, knows the story. Over several decades, chemicals from an old Wolverine tannery dump near Rockford seeped into the tap water of dozens of homes. Residents say they live in fear as one well adjacent to the dump tested positive this summer at more than 500 times the federal safety limit for PFOS. PFOS describes a class of fluorinated organic compounds used in clothing and fabrics as a repellent to water and oils, and has been linked to risks associated with a range of serious health problems. Homeowners in Plainfield Township in Kent County have been exposed to tap water contaminated with chemicals Wolverine Worldwide used to waterproof its shoes for more than 40 years. The chemicals leached from a Wolverine dump southwest of Rockford where the firm disposed of tannery waste from 1958 to 1970. Here are the 10 residences facing the highest contamination levels. Source: Varnum Law, which is representing affected homeowners, obtained test results through Freedom of Information Act requests. In the meantime, Wolverine is paying for bottled water for residents in the area of the dump. It has agreed to pay for installation of home water filters in more than 300 homes. But it has not yet agreed to fund cleanup of its former tannery dump southwest of Rockford along House Street. Nor has it committed to pay for installation of municipal water lines to the affected area, a project township officials say could cost $8 million. Grand Rapids law firm Varnum Law sent a letter Oct. 13 to Wolverine notifying its intent to sue on behalf of dozens of affected residents. Varnum attorney Aaron Phelps told Bridge that he doubts a broad legal settlement would affect the stability of a shoe company that reported $2.5 billion in revenue in 2016. House Street homeowner Sandy Wynn-Stelt lives across the street from the former dump, which the company says it stopped using in 1970. Wynn-Stelt said she recalls the day this past August when state officials came to visit. Just 18 months earlier, she said she had lost her husband, Joel, to cancer. She was told her well water tested at 27,600 parts-per-trillion for a PFOS and a related compound known as PFOA. That’s nearly 400 times the recommended Environmental Protection Agency safety level of 70 ppt. A later test found her drinking water at 540 times the limit, in a home where she has lived for 25 years. Like many of her neighbors, Wynn-Stelt said she wonders who is accountable for what happened at the House Street dump. In one way or another, she feels let down by state and local government, the Environmental Protection Agency ‒ but especially Wolverine. In May 2000, 3M announced it would end the use of its original formulation of Scotchgard, its profitable water and stain repellent used in everything from carpets to furniture to the Hush Puppies casual shoe. 3M’s decision, which the EPA said at the time was made under pressure from the agency, followed mounting evidence that PFOS lingered for years in human blood and had lethal effects on laboratory test animals. The same qualities that made PFOS and similar long-chain compounds so useful in chemistry – they are stable, resistant to heat and don’t readily break down – made them a potential threat to human health. Before that, according to an internal EPA memo published by the Environmental Working Group, a nonprofit environmental advocacy organization, another study resulted in death for rats given high doses of PFOS. “PFOS accumulates to a high degree in humans and animals. It has an estimated half-life of 4 years in humans. It thus appears to combine Persistence, Bioaccumulation and Toxicity properties to an extraordinary degree,” an EPA official stated in the memo. The New York Times published an article three days after 3M’s announcement of its phase-out in 2000 that said EPA officials were prepared to force it to stop production of Scotchgard because of specific concern over PFOS, if it did not do so voluntarily. 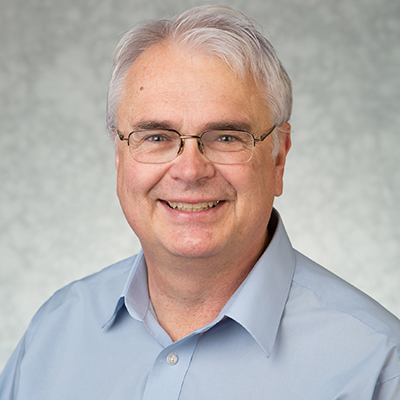 Richard Rediske, an environmental chemist at Grand Valley State University’s Annis Water Resources Institute, has been pressing Wolverine to investigate its handling of tannery waste for years. His campaign was prompted by a 2013 Michigan Department of Environmental Quality report that fish in the Rogue River in Rockford had elevated levels of PFOS. In 2015, the Michigan Department of Health and Human Services issued an advisory warning about eating fish found above a dam impoundment in the city. It was a poorly kept secret in Rockford that scraps of old leather and shoe soles could be found along the banks of the river not far from the old Wolverine tannery that was in operation from 1908 to 2010 (It was torn down in 2011). As early as 2004, a Plainfield Township report expressed concern about what was in the ground at the House Street dump. Township officials later approved construction of several homes and National Guard armory near the House Street dump, even after those concerns were raised. On Jan. 17, Rediske wrote a memo to a MDEQ employee calling for investigation of PFOS waste from the tannery. “Wastes disposed on site, residuals from spills, production wastes disposed of offsite in landfills, local groundwater, scrap leather buried on site all have the potential to contain PFOS,” he warned. Finally, in April, Wolverine contracted with a consultant to test a few wells on the northeast side of the dump. It expanded its test zone after a May 30 federal test – not linked to the Wolverine investigation – at the Michigan Army National Guard’s Belmont Armory found PFOS levels near 100 ppt. The armory is about a half mile southwest of the dump. Wynn-Stelt, the woman who lives across from the House Street dump, showed a Bridge reporter a ravine in the wooded empty lot next door, where excavators contracted by Wolverine were digging out barrels and other remnants of tannery waste from decades past. The area was not part of the former dump site across the street. She said a neighbor to the west found waste barrels on his property. She had rusted-out barrels on her property as well. “They were just dumping everywhere,” Wynn-Stelt said. It remains unclear how far contamination has spread. Since initial tests near House Street, elevated levels of PFOS have been detected in wells nearly 1.5 miles away, as the toxic underground plume appears to have spread south of the House Street site. A home a half-mile southeast – on the other side of U.S. 131 – tested at more than 10,000 ppt. Wynn-Stelt’s neighbor to the west tested above 2,000 ppt. According to data gathered for the potential lawsuit, more than two dozen homes have tested in excess of the 70 ppt federal safety limit. By the time 3M quit using its original formulation of Scotchgard in 2002, Wolverine had been dumping tannery sludge and hides tainted with PFOS for decades. The repellent was a big selling point for its widely popular brushed pigskin casual shoe known as Hush Puppies, introduced in 1958. Within a few years, the company reported that 1 in-10 adults claimed to have a pair. As Wolverine cranked out Hush Puppies, trucks rolled in like clockwork to unload hides and liquid tannery waste along House Street. According to reporting in MLive, which has investigated the controversy tirelessly, Wolverine began dumping waste there in 1939 and continued until the site was effectively closed around 1970. MDEQ officials say that, under the laws of the time, the dump site was legal, coming before Michigan strengthened solid waste disposal standards in 1978. It wasn’t until 1979 that solid waste had to be disposed of in sanctioned dumps that were lined and capped. Even under the old standards, concerns about the tannery waste were slow to build. Wolverine turned to other sites after the House Street dump site was mothballed. Today, MDEQ is investigating several other locations containing tannery waste, including ravines on land belonging to the Michigan Department of Transportation, private property near House Street, a Superfund landfill in Plainfield Township south of the Grand River, a former gravel pit since developed into a golf course, an old dump near the Rogue River north of Rockford, the Wolverine tannery site, and a dump site less than a mile from East Rockford Middle School. Tests announced in October found the water at the school free of contaminants. What could have been done sooner? 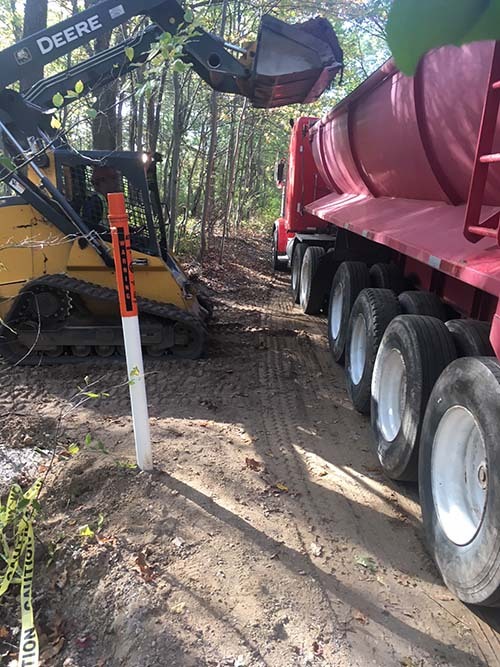 Abigail Hendershott, an acting district supervisor for MDEQ, told Bridge the agency in all probability would have found nothing had it gone back in 2000 and tested groundwater near the House Street dump. Laboratory tests to detect PFOS have only been available in the past decade or so. Plainfield Township Superintendent Cameron Van Wyngarden defended the township’s approval of homes built after the 2004 report on tannery waste at the dump. A Kent County Health Department official told a local television station that the county tested well water for the proposed homes and armory near the dump. But the official said it did not test for PFOS, and records showed the dump contained only “organic” material. 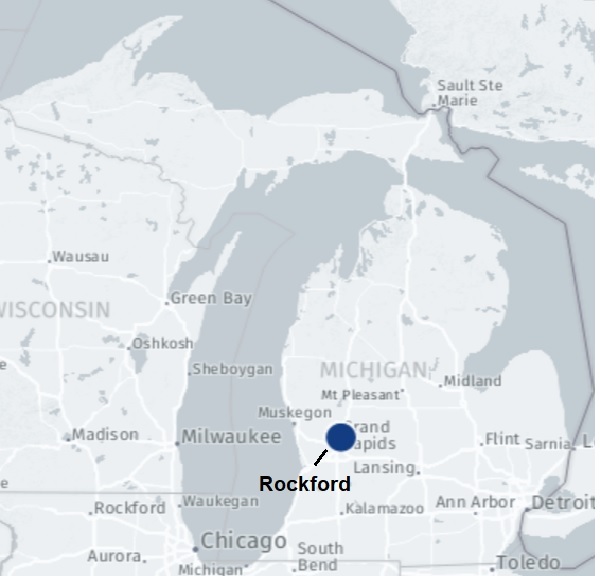 Sean Hammond, deputy policy director of the Michigan Environmental Council, a Lansing-based nonprofit advocacy group, sees plenty of blame to go around for what happened near Rockford. Science is still learning about the long-term effects of PFOS AND PFOA chemicals. In 2017, a science panel convened in connection with the DuPont Teflon lawsuit concluded there was a probable link between PFOA exposure and high cholesterol, ulcerative colitis, thyroid disease, testicular cancer, kidney cancer, and pregnancy-induced hypertension. It wasn’t until 2016 that the EPA issued a drinking water advisory standard for PFOS and PFOA, setting the combined safe limit at 70 ppt. Should Wolverine or the state had acted sooner? Hammond, of the environmental council, said yes. Wolverine could have ordered tests for PFOS a decade ago when tests became available. He said MDEQ should have known PFOS was in Wolverine’s waste as well. House Street resident Wynn-Stelt said she tries to be grateful for small things. She said it would be a relief to hook into a municipal water line instead of relying on a filter to remove toxins from her well. But she said that can’t undo all the water she and her husband drank for more than two decades. Eggen, the Delaware environmental law expert, said Wolverine could decide to contest individual cases brought against it before agreeing to any broad settlement for damages. That’s what happened in the Dupont Teflon case. She said it would be a risk to allow a jury to decide such a case. Correction: An earlier version of this article used a stock photo of barrels to convey industrial waste. That photo has been removed. The article now contains only those photos relating to the Wolverine World Wide former waste site. They "created jobs" and "contributed to economic growth." So what if they knowingly poisoned a few generations? Besides, they can now get Kent County to declare the site a brownfield, so instead of property taxes going to the general funds of the county, Plainfield Township, and indirectly the state school aid fund, they can be used to clean up the mess. And the Trump administration's EPA thinks that companies will 'self regulate' so there's no need for enforcement. Yeah, sure. This is a perfect example of how companies really act - ignore things, plead ignorance, lie, then stonewall and try to get the taxpayer to foot the bill for clean up. Yep corporations love to kill their customers!! A Great and profitable business model. Much of the dumping happened pre-EPA. Returning to lax or no regulations will set the stage for future generations to be poisoned.